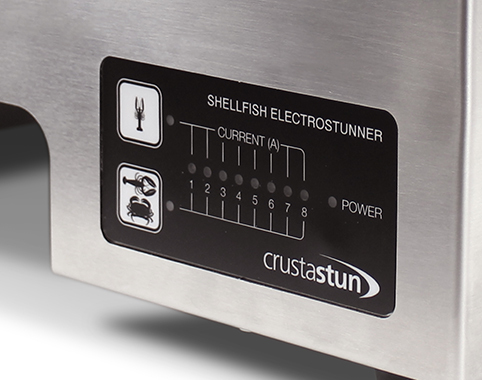 The electro-stunning method demonstrated by the Crustastun improves taste and texture of the meat. 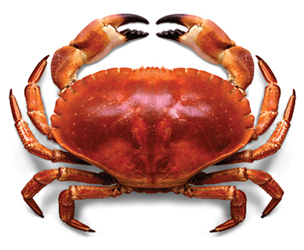 Minimal stress is caused to the animal and therefore no stress hormones are released into the shellfish body. 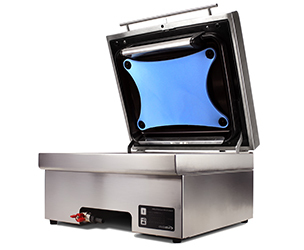 The stun current also initiates and accelerates the tenderisation process of the meat. 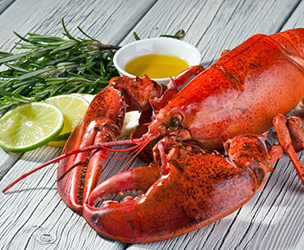 In a number of blind tests, professional food tasters, chefs and members of the audience were provided with crabs and lobsters killed in boiling water and crabs and lobsters that had been killed using a Crustastun. Without exception, every participant preferred the meat from the Crustastunned animals claiming it was sweeter and less flakey & dry. 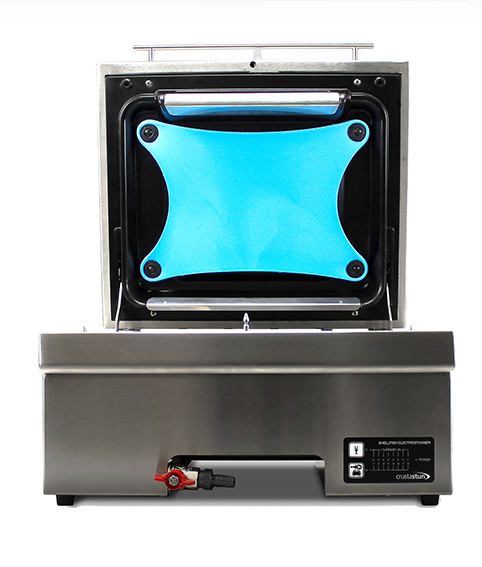 It eliminates the bacterial load in the animal. 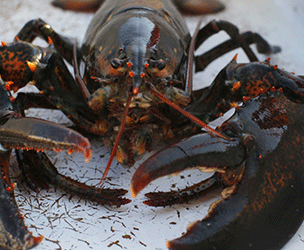 All shellfish carry bacteria naturally. 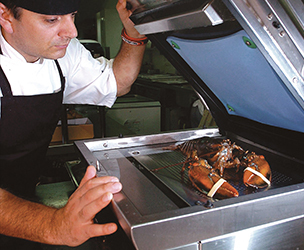 The effect of the delivery of the stun current is to kill the bacteria in the shellfish, rendering the uncooked meat safe for up to 48 hours following the stun (particularly useful when used in Sushi) and in the normal way enabling weak and dying lobsters, langoustines or crabs to be kept for later cooking. This is a great attraction for restaurants that lose money buying in live lobsters that subsequently die in storage thereby preventing them from being used. 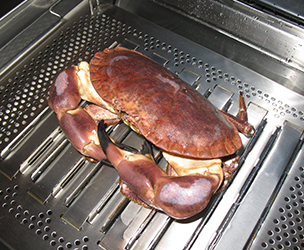 Simply place the crab, lobster or crayfish belly side down on the sprung tray. Close the lid and press the appropriate stun time. No specialist skills or training required compared to some traditional methods. Fast - The total stun and kill time depending on the animal is between 5 and 10 seconds. The Crustastun sits on a countertop ready to use daily. The Crustastun uses a single phase plug with a supply voltage of 220 - 240V. Simply plug in and use no need for electrical installation. Voltage cut off switch will automatically turn the appliance off when the lid is open. 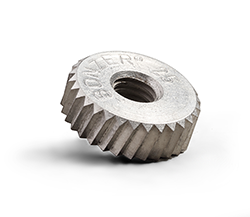 The Stunner holds full CE Marking for the UK and Europe, having undergone full testing in advance, holding all accreditations necessary for commercial production.